It is very important to choose the right kind of hosting for your online business. This is a decision you wouldn’t want to take in a hurry. You should be able to provide an efficient and intuitive customer experience, in order to run your online business successfully, Best Web Hosting for Online Store Hosting is Must. Choosing the wrong web hosting could land your online store to slow down and reduce its performance. This can have a really bad impact on your brand’s reputation. People these days expect high performance from your website, a delay of 2 seconds would lead to losing your customer. Basically, your duty as an owner is to make sure your customers are satisfied with the services your website can provide. It should be easy for your customers to visit your site and buy from it. All this totally depends on your choice of host. The services offered by your host highly influences your website. Website performance, uptime, and loading speed matter a lot, all a combination of these factors contribute towards a good customer experience. A worthy solution by hosts makes sure that your potential clients have a great shopping experience. It also takes care that your e-commerce shop doesn’t be a target of its own growth due to performance degradation and unsatisfied customers. 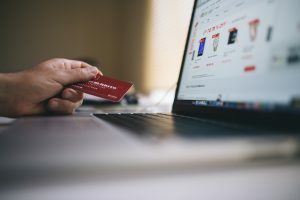 A survey by Kiss Metrics predicted that about 50 percent of online buyers doesn’t want to wait for more than two seconds for the site to load. If it takes more than three seconds, they wouldn’t opt for the website again. Also, the same research also predicted that more than 80 percent of online buyers would never visit the shopping site again if they have had a poor experience, and over 44 percent of users after having a bad experience share it out with their friends too. Here are a few factors all website owners should read before opting for a potential host. Host that provides High Performance: You need a host that can keep up with the growth of your website. So if you had started hosting your website with a shared host, with the rise in your website’s traffic there will be a time when you will outgrow the shared host. This situation is faced by almost all website owners. The solution to this is looking for a host that can support the existing traffic as well as the resources needed in the long run. All you can do is opt for a Virtual Private Server (VPS), Cloud, Dedicated, or a Managed Server from the beginning. Cent Percent Uptime: You won’t be able to earn anything if your website crashes often or if it isn’t available at all times. Before choosing a host make sure it provides guaranteed uptime. There are some that have the capability to offer guaranteed uptime, a wise choice would be to pick those. In case your website was found to be offline, these providers give some amount of money as money back. But instead of guarantees like cash-back uptime, hunt for a provider that gives you the highest possible uptime. One that provides SSL Support and High Security: One of the best customer experience when they find their data and sensitive information such as passwords, and card details are secured by applying proper encryption on them. Keeping the client’s data safe should actually be a priority for you. How can you achieve this? The best way to do this is getting a Secure Sockets Layer (SSL) certificate installed on your website which is compatible with your host. A dedicated Support Team: Isn’t it a good idea to have a dedicated team of people that provide you with the required support 24*7. Whenever you face some trouble regarding your shopping site, don’t you feel it should get resolved as soon as possible? Even a minute flaw in the server or your website’s performance would lead to bad user experience and that would further lead to lower revenue generation. Most owners wouldn’t realize this until they experience some issues in the middle of peak incoming traffic or flash sale. Support is something you need in order to keep your website up. Generally, an online store website is much more complicated to design and manage than any other type of website. You can make sure you get a website built that exceeds client’s expectations if your host can combine features of dedicated hosting, a less complex administration, high security and the potential to support website growth.